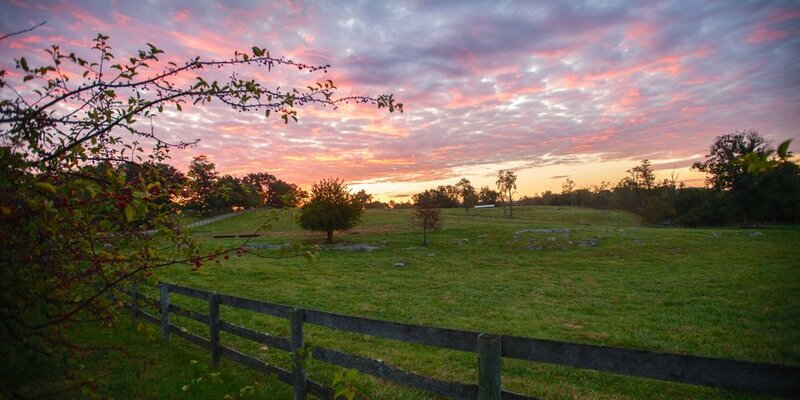 At Chapel Hill Farm, we believe our choices matter—they are what set us and the Randall Linebacks apart. Why do you care? Because you are what you eat. A higher quality of life for our animals means a higher quality product for you. That the Randall Linebacks should spend their entire lives outdoors. That we should let Mother Nature be the guide as much as we can. That the Randall Linebacks should be treated with care and respect. 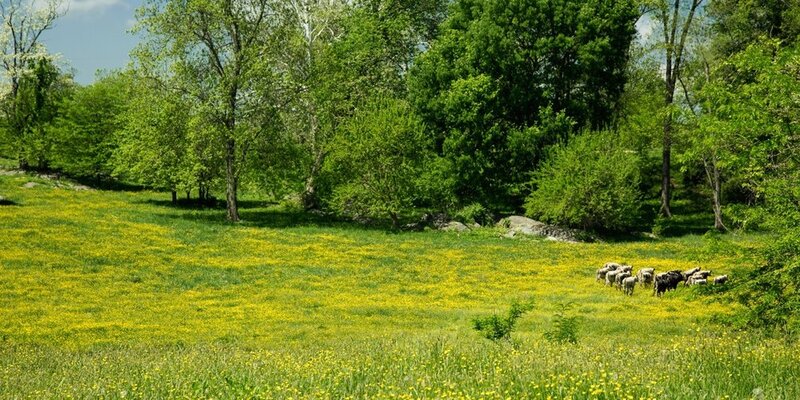 Randall Linebacks range freely across several hundred acres of Chapel Hill Farm pastureland, drinking fresh water from our underground spring. • We chose to raise Randall Linebacks because they are a genetic time capsule. Their heritage genetics lead to a rich red meat, chock full of flavor, yet unadulterated with the heavy intramuscular fat of industrialized beef breeds. 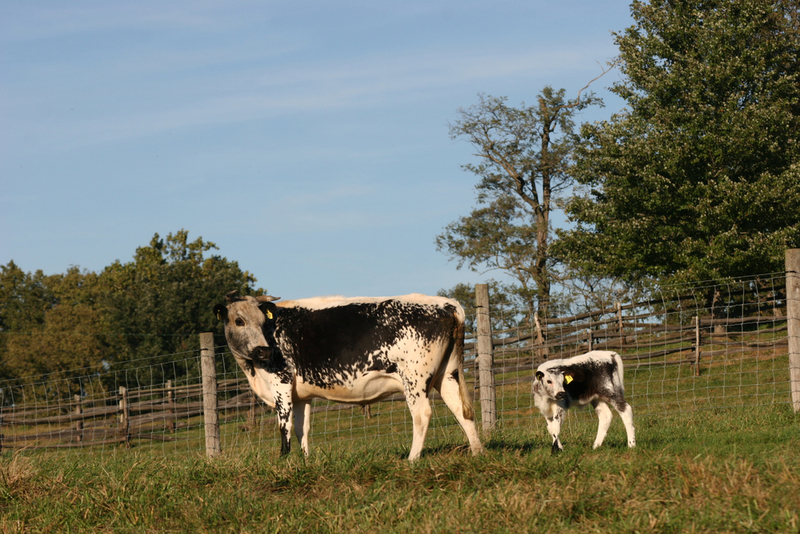 • The Randall Linebacks are 100% pasture born—the healthiest option for mothers and offspring. We never use calving barns or pens, which can be unsanitary and begin calves’ lives in unnatural confinement. • Randall Lineback calves are raised on their mothers’ milk, not formula. They are also gradually weaned, the way nature intended. We do not strip them from their mothers early, which causes stress and trauma for cow and calf. 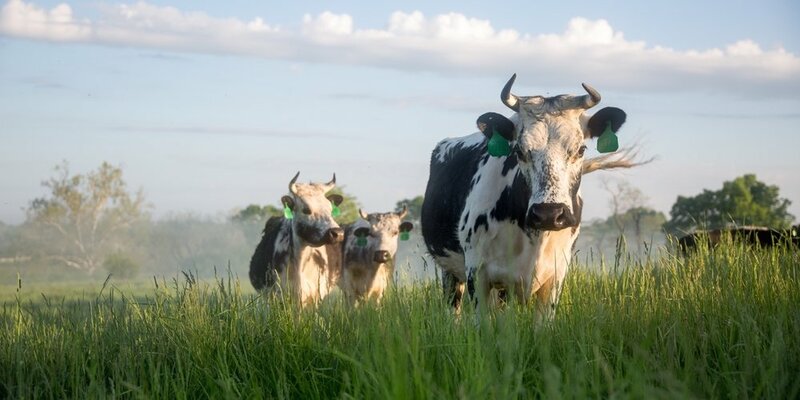 • The Randall Linebacks are not just grass-fed, they are 100% pasture raised. Never confined, they exercise every day, building the muscles that lend Randall Lineback meat its signature depth of flavor. • The Randall Linebacks live as nature intended. They eat the nutritious grasses from our fields, drink our spring water, and move over the land, socializing with their fellows as contented herd animals. • We never give the Randall Linebacks added hormones, steroids, or unnecessary and harmful antibiotics. • The Randall Linebacks are pasture bred, not artificially inseminated. Although we keep meticulous genetic records of breeding groups, we believe strongly in field breeding and letting nature take its course. • As a heritage breed, Randall Linebacks are the epitome of “Slow Food.” They do not grow according to a pre-set schedule, and we do not force them into certain age and weight brackets. Those who go to the abattoir are sent when they are ready. • The Randall Linebacks are slaughtered respectfully and ethically in a nearby abattoir in order to ensure the least stressful end of life possible. They are not trucked to distant, high volume slaughterhouses. • Each package of Randall Lineback comes from only one animal and is labeled that way. With each package traced to a specific animal, we can ensure the highest standards of food safety. In a world where most packaged meats (particularly ground meats) mix together parts of many different animals, this exceptional traceability sets us apart. Every step of the way, we have chosen quality of life for the Randall Linebacks- providing an unconfined, socialized, natural environment for the herd. Although these practices mean more work and investment, we believe the Randall Linebacks are worth every extra step.